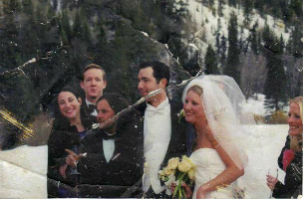 Woman tracks down owner of wedding photo with help of social media. What's really involved with social media management. These stories, and more, in today's Morning Social Media Newsfeed. I don’t have a Ph.D., I don’t work in a lab, and I don’t work with chemicals. I work in social media, and to succeed in this market you must think like a scientist. Social media helps companies monitor and analyze what is being said about them to make decisions about customer service, marketing and business strategy. In today’s market, social media is no longer simply about Facebook “Likes” and tweets; rather it is a key tool for a business, and has become a science for many brands to study and become experts in. The fashion industry has become quite adept at using social media to engage the fans. With #NYFW winding down, it’s time to take a look at the breakdown of Fashion Week’s social media takeover. “We have no plans to be in the social-networking area.” That’s basically all you need to know about Apple’s plans in social — coming from Tim Cook, Apple’s CEO, in an interview with Charlie Rose airing Friday on PBS. Application developers that serve the same industries likely have similar needs, so Facebook announced Friday that it created industry pages on its developers site for the following industries: e-commerce, entertainment, games, photos and travel. The industry pages are also accessible via the products tab. It started in February 2009 when The Wall Street Journal columnist Joanna Stern came across a series of funny tweets about Showtime TV program “The L Word” posted by Deep Focus social media whiz Michelle Barna. On Nov. 10, 2013, while vacationing together in Hawaii, Stern popped the question, appropriately, on Twitter.